Since her childhood, Sayaka loved to look at illustrated encyclopedias, read books, draw pictures, and take photographs, anything that allowed her to express herself. Her mother, who was very knowledgeable about art, taught her about sketching and art techniques. During elementary school, she would spend her summers living in Moscow, Russia, and was inspired by the many artists that lived there. In high school, she decided not to pursue art, and instead chose the path of aeronautical engineering. She later became a freelance photographer after having done it as a hobby, and branched out to other mediums such as drawing and clothing design. 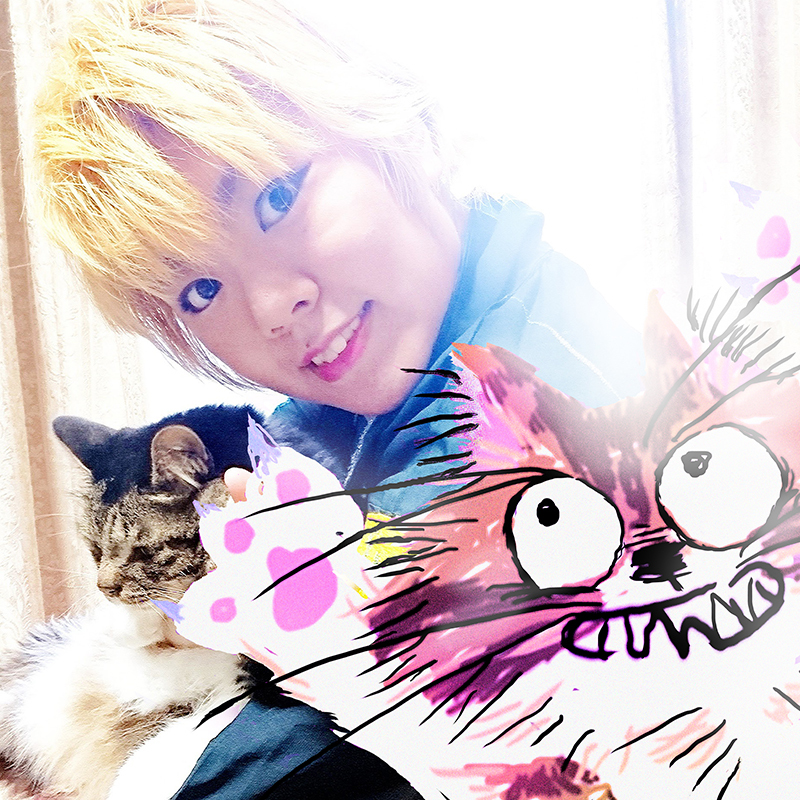 The character that often appears in Sayaka’s work, Akanpo-chan, is based on her own cat. After continuing to nurse him to health, he became healthier and, in turn, so did she. She became determined to cheer up those who feel sad or have been hurt using Akanpo-chan, who was designed to be the type of comforting character who naturally stays by one’s side. If she did not have him, Sayaka would likely remain very lonely, therefore she hopes to touch everyone’s hearts with Akanpo-chan.